When you need us, we will be there for you and your family. Our Inpatient Unit is located at St. John’s House, Courtenay Hill, Newry, Co. Down. There are several reasons for patients to be referred to us for inpatient care such as control of symptoms, for example pain or nausea, rehabilitation following treatment, respite and end of life care. Our main aim is to ensure that patients are comfortable during their stay with us and that they receive the best possible care available. Once the symptoms are controlled, the patient may return home. 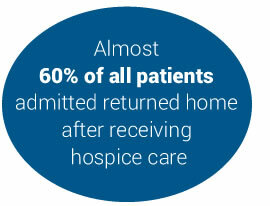 Patients can then avail of other Hospice services such as our Out-Patients Clinics, Hospice Day Care, Donaldson Counselling and Therapy Centre or Resource Centre. Our Inpatient Unit has 14 single bedrooms on 2 floors, so every patient will have the privacy of their own room. 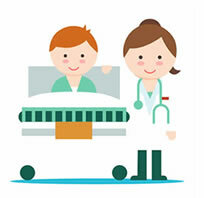 We try to create a friendly relaxed atmosphere and ensure patients and their family have the best facilities available. We have family rooms on both floors, with a sitting room, bedroom and shower room available for family and relatives if needed. There is also a Café available in the building which is open to families, carers, staff and those visiting Hospice. The beautiful Hospice gardens are located at the back of the building and the garden gazebo offers a sheltered space to enjoy the tranquil surroundings and has various table and seating areas. At the Inpatient Unit, patients can avail of treatment and advice from different members of the multidisciplinary team which is made up of Medical, Nursing, Physiotherapy, Social Workers, Chaplaincy and Complementary Therapy staff. The high ratio of staff-to-patients ensures an excellent quality of service and dedicated care for the patient, their family and friends. Our team of staff have appropriate qualifications, training and experience in palliative care. Their aim is to provide the best quality of life for their patients and families, focusing not only on physical care but also on the need for emotional, social and spiritual support. We understand that Hospices can be a little overwhelming, especially if this is your first time visiting one. 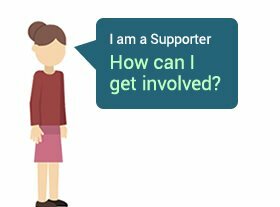 Therefore, before a patient is admitted they are welcome to come and have a look around with their family, friends or carers and meet with our staff who can answer questions and alleviate any concerns. What happens when you are admitted? 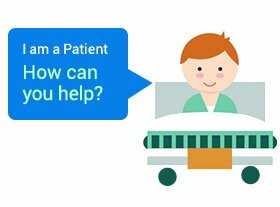 Following admission to our unit, the multi-disciplinary team will carry out a holistic assessment with the patient, family, friends or carers will have an opportunity to ask questions about treatment and care. Patients will receive an information booklet which will explain all aspects of Hospice including meals, visiting and all the services available. While admitted to the Unit, patients and their families are offered complementary therapies such as reflexology. There is also access to a social worker and chaplaincy support. How you can be referred? 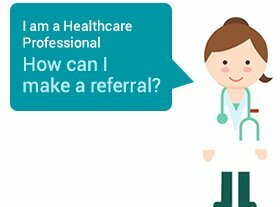 Referrals are accepted from Hospital Consultants and General Practitioners (GP’s). Patients being admitted to the Hospice from home should request that their GP arrange transport, if they are unable to travel by car.